Modern day advertising is complicated enough that its desired outcomes do not always boil down to having enough balance on your account. In addition to stuffing your pockets with hard earned cash in the short run, you surely want your ads to do another, less overt job for you, and that is to promote your business and increase awareness of your brand by means of quality customer engagement. Launching an effective branding campaign has a lot to offer to smart advertisers in long-term business benefits, and shadow box ads promise to help you with bringing these to a satisfying and profitable conclusion. 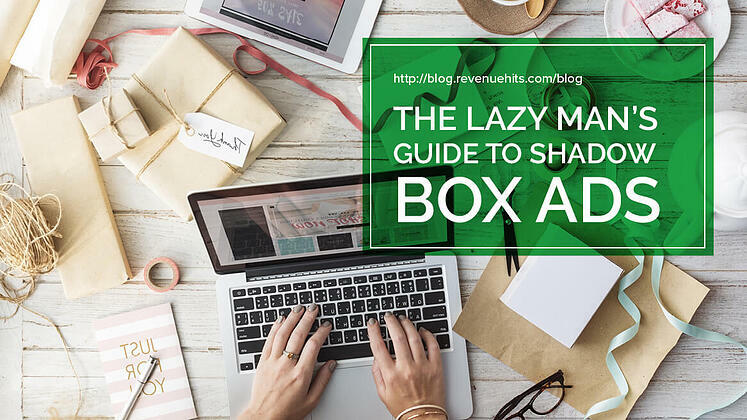 Take five minutes to learn how your business can join the ranks of satisfied shadow box ad users. What’s in the Shadow Box? A few years ago, Google created lightbox ads as a means of driving better conversion and engagement rates. These ads served as the basis for shadow box ads that offer the same benefits to any veteran publisher looking for the ads that promise to keep them happy both with maximum earnings and the quality of business promotion. In addition, the chance for these ads to promote user engagement is ten times higher. Shadow box ads function in the same manner and appear as something resembling standard display ads, with an additional benefit – they provide you with more space to tell your customer an engaging narrative about your brand, product or service. This is enabled once these customers click, tap or hover over your shadow box ad, which consequently expands itself to cover a significant portion of the viewer’s screen. And here is the catch: this additional space can be efficiently utilized as a platform to bedazzle your customer with a visually arresting video on your brand, or with a set of images presented on it as if on canvas. Thus, shadow box ads serve the role of telling the story of your brand/offer within their frame in which you can embed your video, promotional offers or striking images via the use of the state-of-the-art display technology. In this manner, they manage to go beyond being your digital business card. Thanks to their ability to be expanded with rich digital media, they are more likely to resemble an advertising catalog or a storybook. Shadow box ads promise high value for each cent you set aside for your marketing needs. All you need to focus on are your priorities – are you really after skyrocketing your sales in the short run, or do you want to use the interaction with customer to build long-term business relation aimed at leaving a lasting impression on your customer’s mind? In case of the latter, shadow box ads allow you to target just the right customer due to their excellent visibility, which is highly resistant to instances of ad blindness. 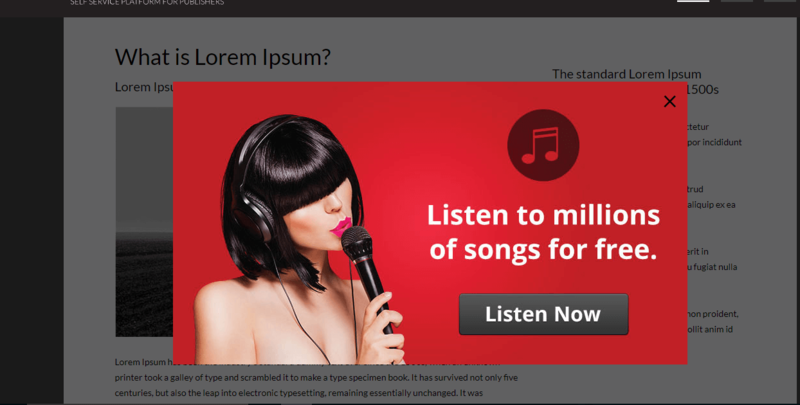 They take the form of an opaque box in which your ads are shown by occupying a central place on the screen. In this manner, a shadow box ad simply begs your customers to look at it, which makes them an excellent choice if you want to ensure that your ads are interacted with instead of being ignored. The span of the marketing material that you can embed with them is virtually limitless, provided that you know what your audience is after. These can be games, interactive presentations or catalogs. They can be set to achieve visibility with a short delay, which is made more effective by having the rest of your page go dim in the background to ensure that the spotlight remains on your brand’s message. As for the need for connecting with the targeted customers, your results will be much better if your shadow box ads combine their attractive visuals with contextual relevance to the content you offer. Once again, you will do well to leave this part of the job in the hands of the professionals who can supply you with ads that are contextually optimized for the site content. RevenueHits, for example, offers you to utilize your available ad space by showing only the relevant shadow box ads based on Geo-targeted ad serving technology. They are optimized for both desktop and mobile platforms. Thanks to its advanced algorithms, this network will analyze and decide on the most efficient manner of placing ads with the single goal of maximizing your profit from running a well-established website. To this effect, RevenueHits will offer you an inventory comprised only of contextually-aligned and high-performance ads that are and will remain relevant to your audience, which helps you attract quality traffic and, consequently, rake in more profits. Shadow box ads are hardly “shadowy” when it comes to engaging your customers and securing convincing conversion rates. What powers them is the genuine level of interest the audience demonstrates in relation to the site’s content. Once everything else on the screen dims underneath your shadow box ad, this is the point at which the engagement with the ad comes to the forefront. This makes these ads particularly suitable for campaigns in which their narrative quality pairs with their visual potential. As a format, this is one of the most suitable platforms for showing stunning ads that stay with your customer for a long time after they view them. Ads that are used for informing your customers about your offer will profit from the box ad’s potential to offer additional interactivity as part of its main screen. At the same time, the shadow box format allows the customer to extend the engagement to the ad frame itself. As these panels also come to the spotlight during the showing of the main ad content, even just clicking on them can point to the engagement level that goes beyond mere curiosity. Among the variety of recommended and less recommended ad types, shadow box ads offer a lot to the publishers who want their ads to serve a two-fold function: to promote their business successfully, and work as a digital platform for strengthening brand awareness. This is done by their capacity to offer sky-high levels of visibility at the center of your customer’s screen, parallel to dimming the rest of the page’s content. Also, you can make the central section of your shadow box ad a platform for telling a story about your business via visually attractive videos, interactive content or catalog-style series of images. Provided that you provide the contextual link between these ads and the content of the page they appear on, you have a winning combination for making your business both profitable and efficiently branded.